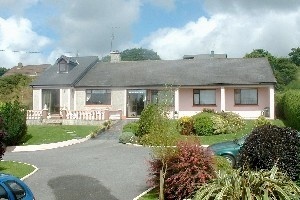 Marguerite's Bed & Breakfast | Baltimore Rd, Skibbereen, West Cork. Baltimore Rd, Skibbereen, West Cork. The guest accommodation consists of three en suite bedrooms – one double room and one double & single room.Each room has a good range of amenities including a hair dryer, tea & coffee making facilities and a TV. Secure car parking is available and for those of you travelling on two wheels there’s also bicycle storage. West Cork boasts some of Ireland’s most spectacular scenery and Marguerites is an ideal base from which to explore this magical area, from the World famous Skibbereen Heritage Centre, to the sailing and watersports centre of Baltimore. All that West Cork has to offer is at your door.